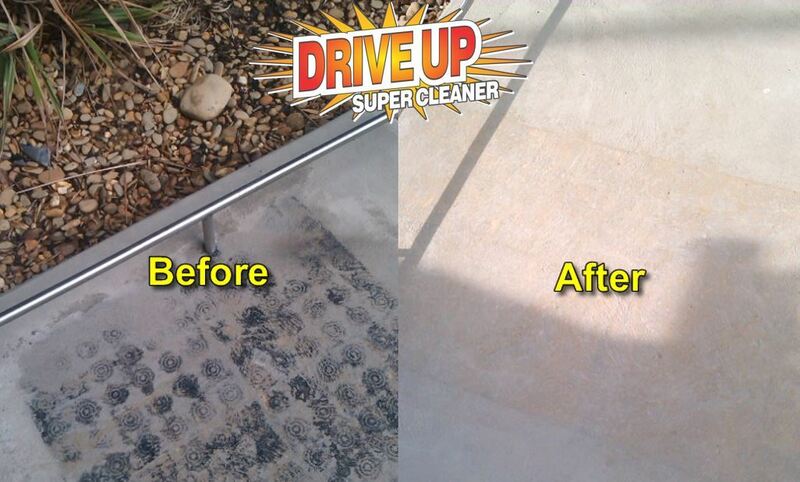 Learn how to easily clean driveways and concrete without scrubbing. 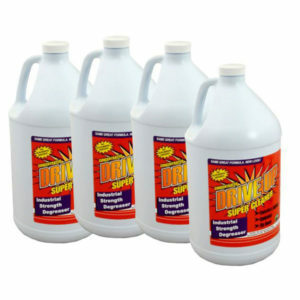 Scrubbing or absorbing the oil on the surface is a quick fix, as the oil will eventually seep back up to the surface. Scrubbing the oil out will actually make the stain bigger. 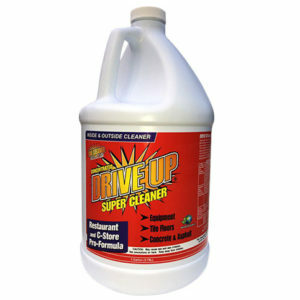 The unique blend of surfactants in DRIVE UP starts working immediately. 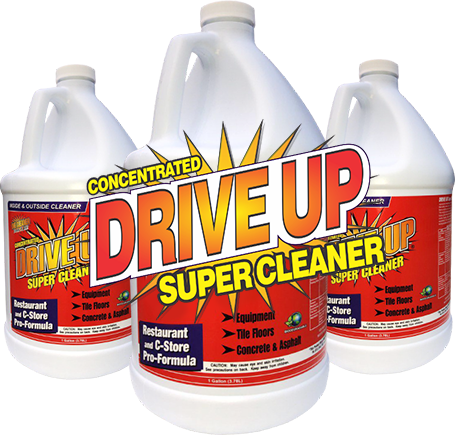 It will aggressively remove motor oil, petroleum, grease, and carbon by encapsulating the contaminant, which allows water to easily remove it from any surface. 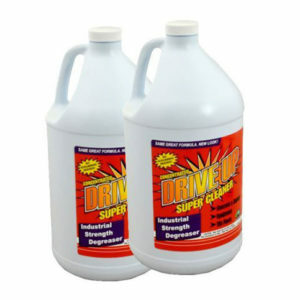 What's more - Drive Up is a 100% green, biodegradable and eco-friendly, non-corrosive and non-butyl water based cleaner which can be used on any surface. 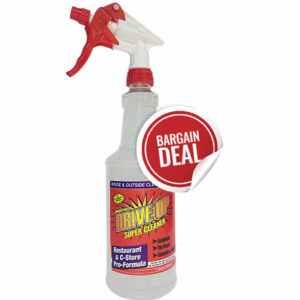 Even though this product is highly concentrated, it will easily remove oil and grease without harming you, your landscaping and the natural environment around you. 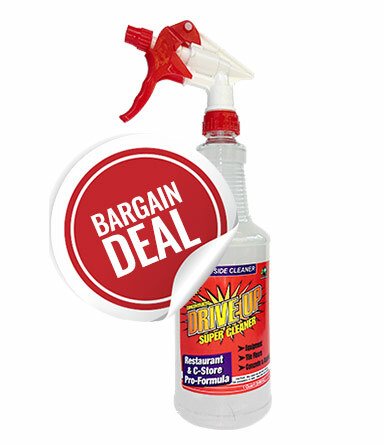 TRY A $10 SAMPLE OF DRIVE UP!